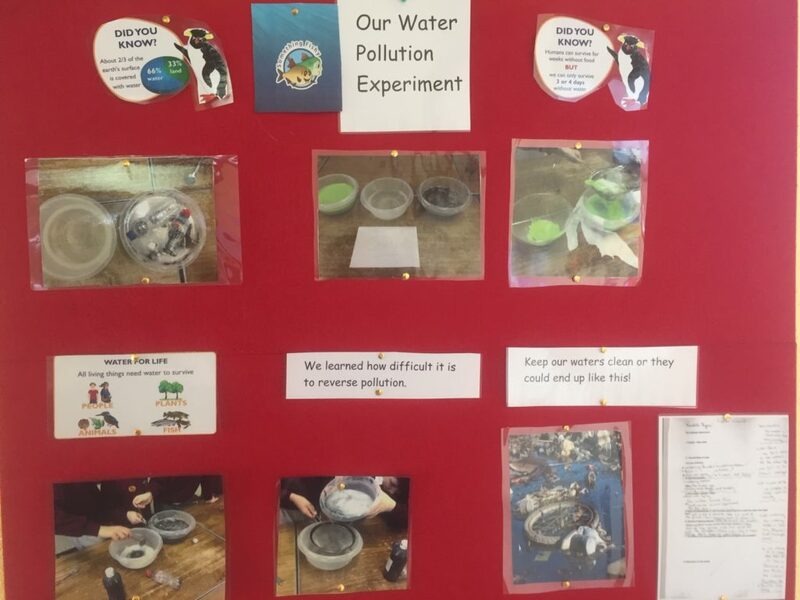 The children had fun simulating pollution using paints, detergents, litter and other debris. We learned how easy it is to pollute water and how difficult it is to reverse it! ← Life Cycle of a Salmon.